LOOOOOK!!! 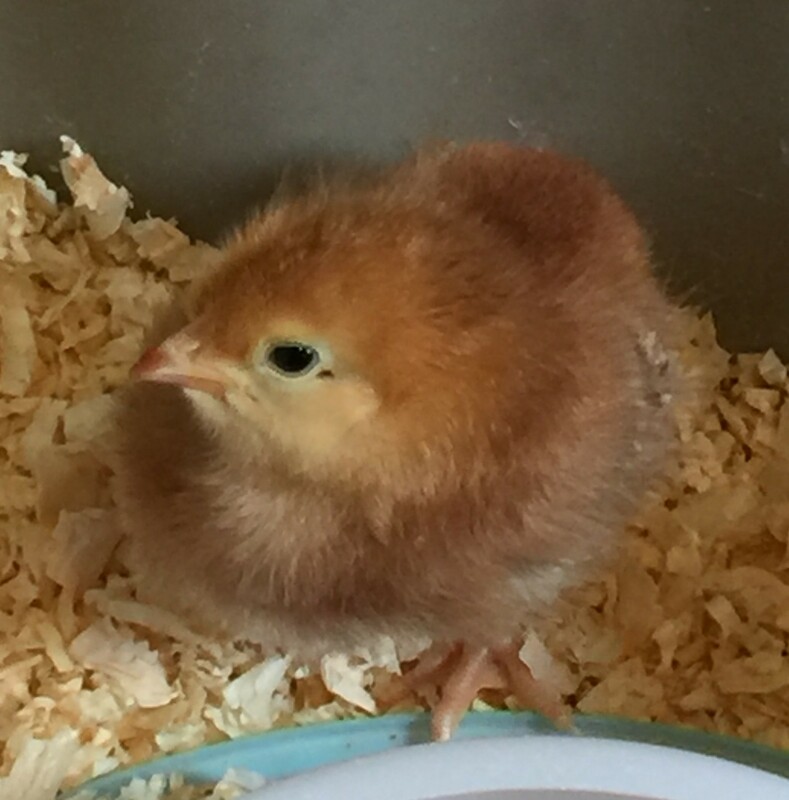 I have my cute little chickies!! I can’t even begin to tell you how excited I am to finally get my very first batch of babies here. 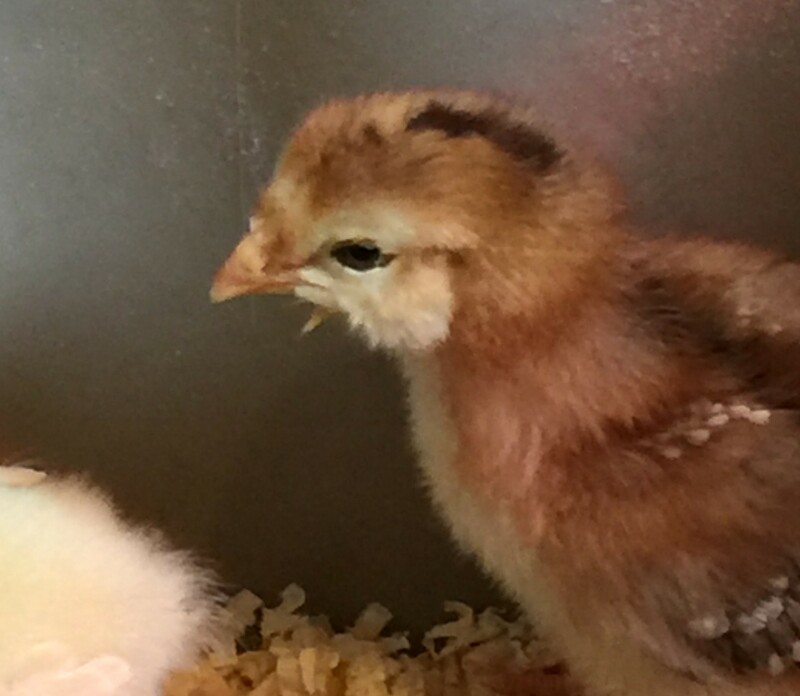 If you know me, even a little, you probably know that I have wanted chickens of my own since I was a little girl. Heaven knows THAT is a long time! Well, the day is finally here my friends. To say that I’m “over the moon” is to put it lightly. It’s so much fun to take care of them too. I wondered if it would be scary, but it’s not. It’s amazing. They get so excited when anything happens, you know like– changing their water or moving their food dish. They run around chirping like it’s Christmas. It’s awesome I tell you. This is Tootsie. 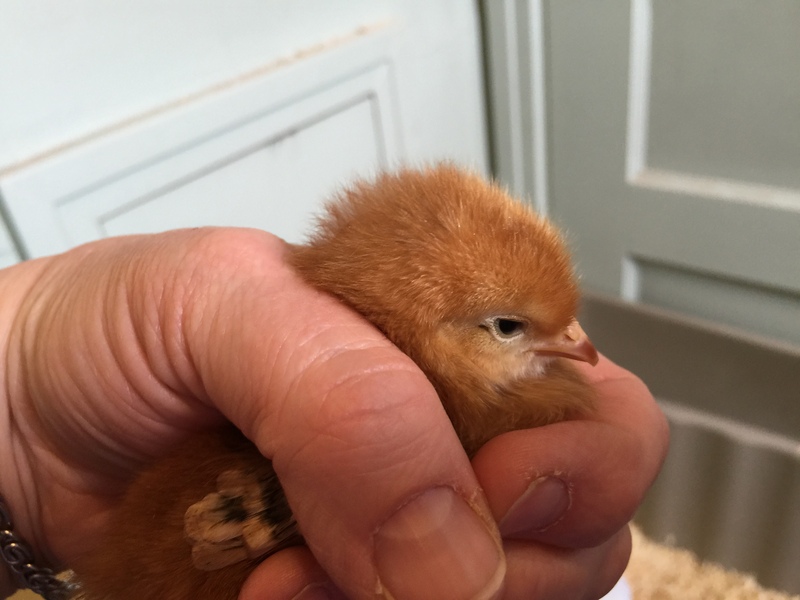 She and her sister Ruby are our Rhode Island Reds. She will look like this someday. And this is Mable. She and her sisters Ji (that’s Chinese for “chicken.”), and Oreo are Barred Rock babies. This is what they’ll grow up to be. This is one of our Russian Orloffs. And this is her sister. They don’t have proper names, because our resident Russian expert hasn’t named them yet. I think he wants to get to know them a bit first. Sheesh. 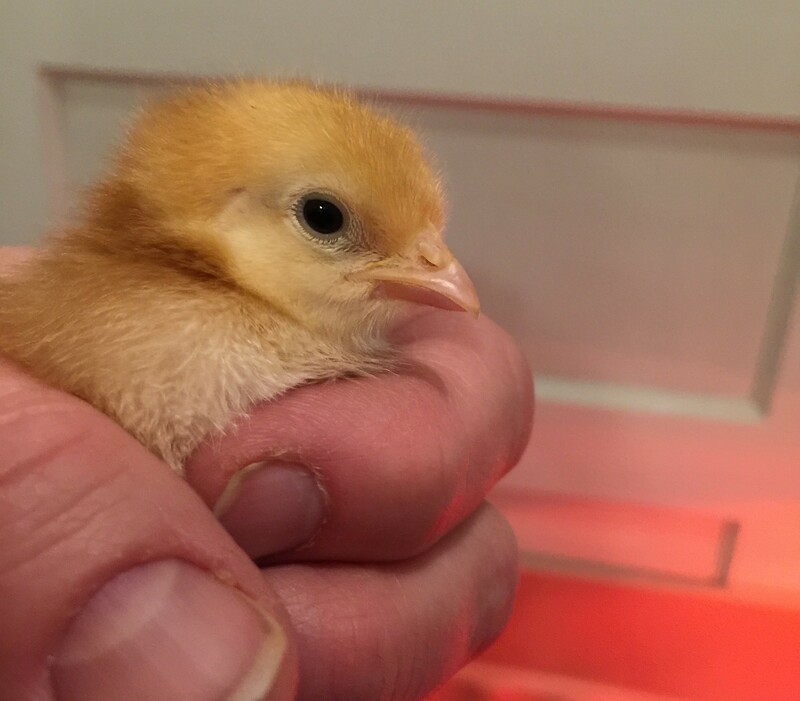 They will look something like this when they are bigger. Quite exotic–wouldn’t you say? This is Goldie. 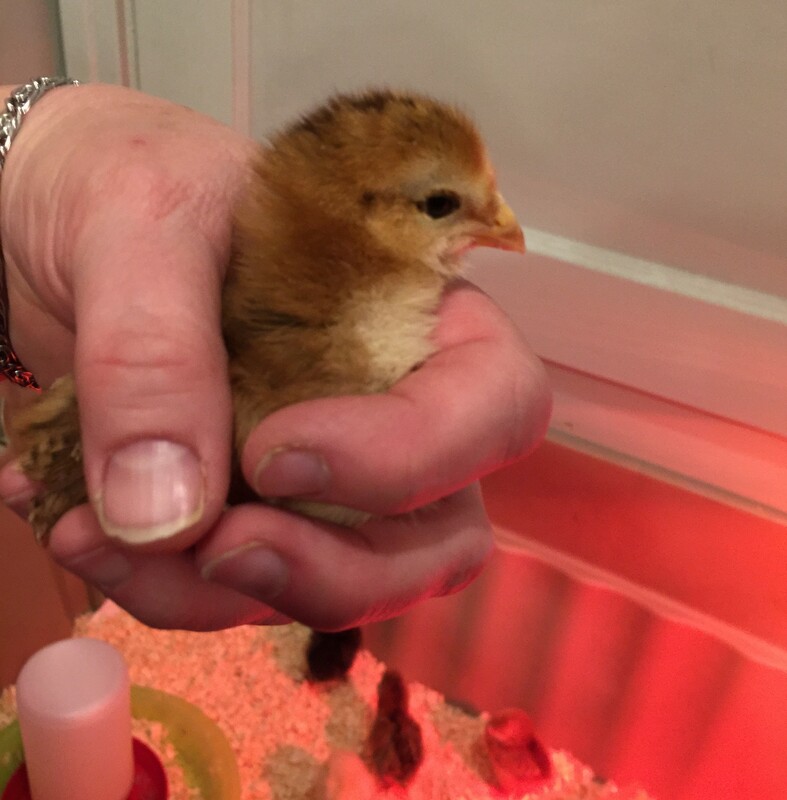 She and her sisters Chickoletta and Marshmallow Peep are Buff Orpingtons. They will look like this, nice and plump and fluffy. Hopefully tooo plump to fly over the fence. These little girls are making me sooo happy, I can hardly tell you. I hope they will be happy with us for a long time…. I absolutely adore them! What fun for you and all of us too. They fit in so well.